We've had some big life changes in our house over the last couple of weeks, a lot of focus shifting. (Watch for posts to follow!) Over the holidays I made an effort to take time to be the Mom I want to be and focus on just plain having fun with the kids (instead of work work work). 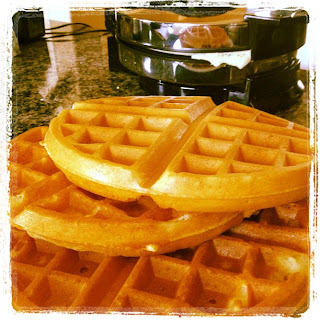 Christmas morning we made Belgian Waffles with my new Belgian Waffle maker. Love it! Easy, quick and the kids just love them! What are your breakfast (or brunch) favorites? Yummo! 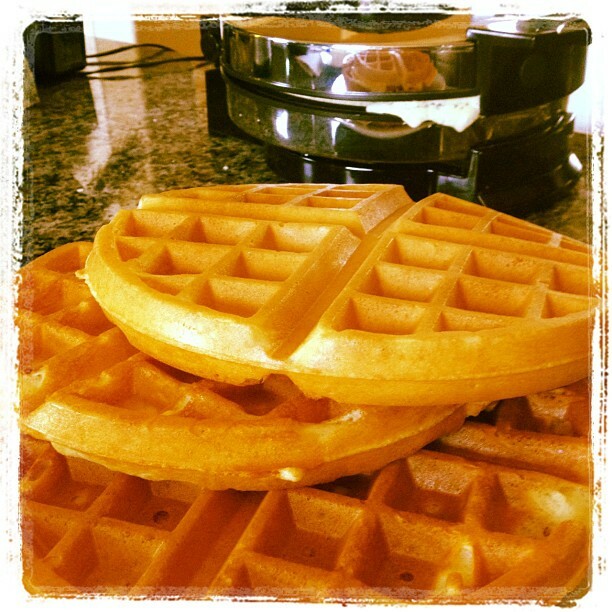 Which reminds me I need a waffle maker! I like making waffles, too. For some strange reason, mine don't come out as delicious lookin' as your pictures. Hmmmm? What do you use? I got a waffle maker too, as well as an Abelskiver pan. You should should try them. A little more work but delicious!